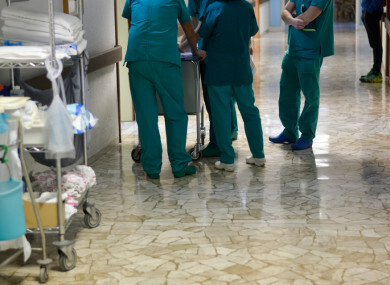 YESTERDAY, THE IRISH Nurses and Midwives Association (INMO) said that 95% of its members had voted in favour of strike action. The decision was taken over concerns of staff shortages and low pay in the sector, and will see dates set for 24-hour strikes across the country in the new year. “Ireland’s nurses and midwives are speaking with one clear voice. This vote reflects a deep frustration in our professions, which the government cannot continue to ignore,” INMO general secretary Phil Ní Sheaghada said. Today, we’re asking you: Do you support nurses and midwives in their vote for all-out strike action? Email “Poll: Do you support nurses and midwives in their vote for all-out strike action?”. Feedback on “Poll: Do you support nurses and midwives in their vote for all-out strike action?”.